A fun card for Beagle Owners with a cute Arooooing Beagle illustration. 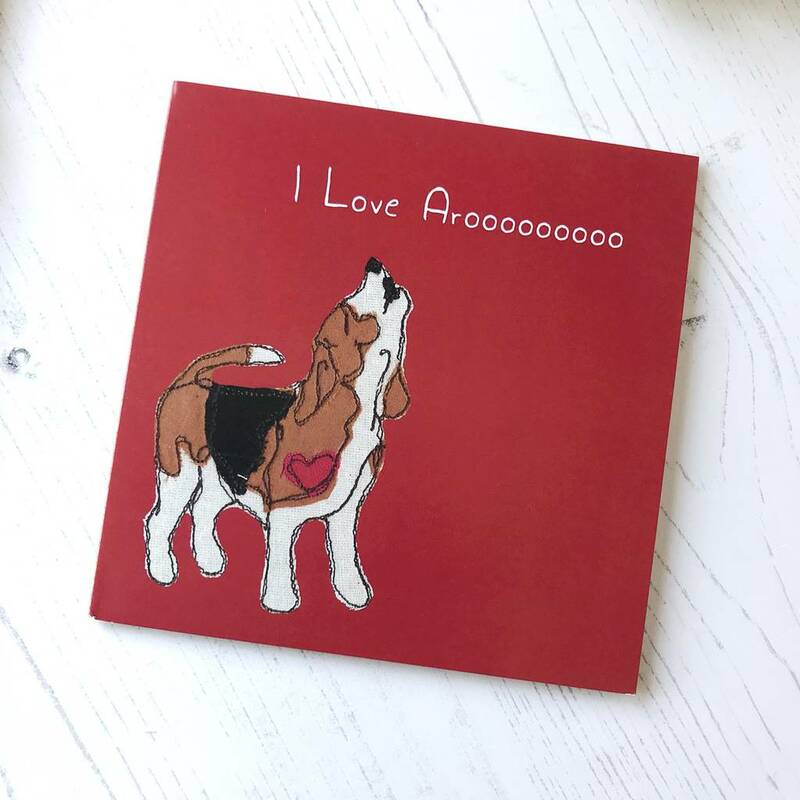 A lovely card from your Beagle Dog. Perfect for Valentines Day. 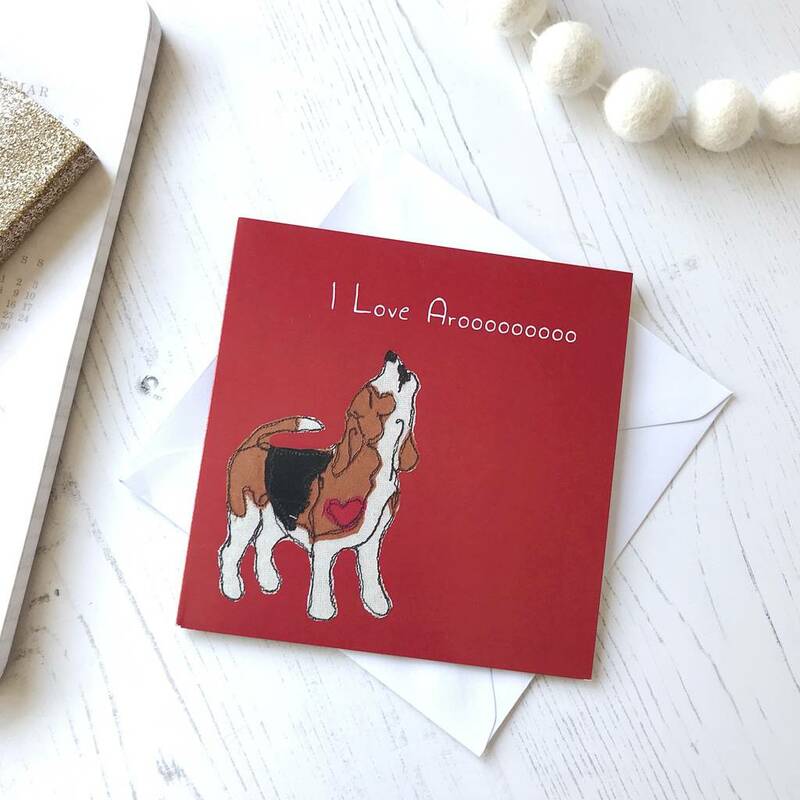 Sure to raise a smile this Valentine's Day, this card is part of my 'Everyday Beagle' range. 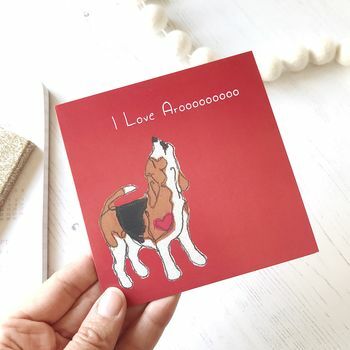 My I Love Aroooooo also makes a sweet valentines card from the dog and is also suitable as a Birthday or Mother's/Father's Day card especially if you have Dog Children. This card is part of a collecton of 5 designs that are suitable for birthday's, father's day or Valentines day too. A small 120cm square card design, that has been left blank inside for you to add your own message. Includes a plain white envelope. Printed by an eco printer, a waterless and chemical free printer who use either 100% recycled paper or paper from sustainably managed forests. Their inks are vegetable oil based and toners are new generation eco-friendly. The card and envelope are sent "naked" in a boardbacked enevelope for protection in the post. I support the @nakedcard campaign to reduce plastic waste. 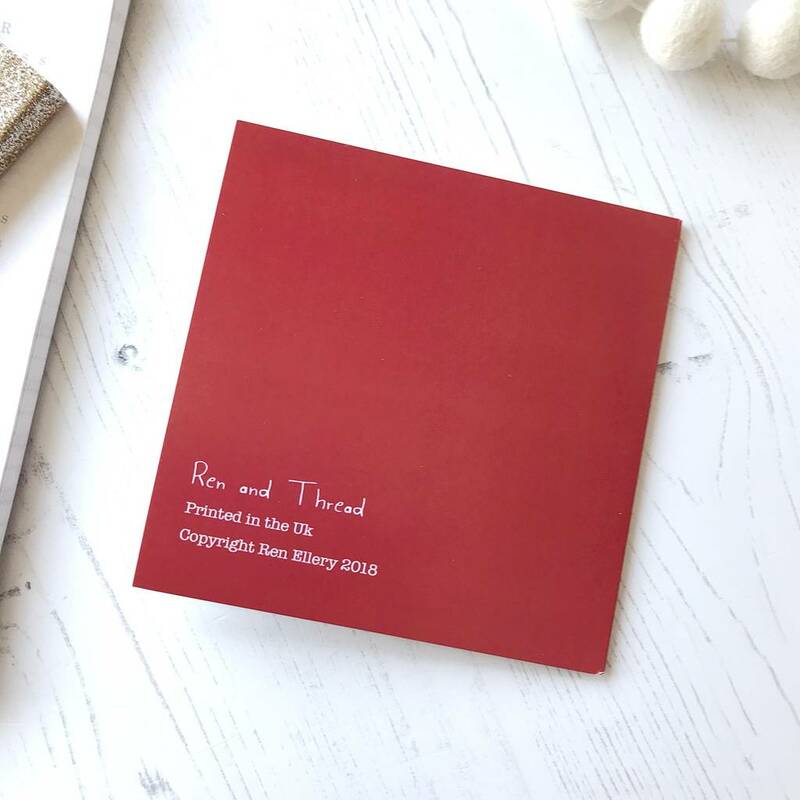 This product is dispatched to you by Ren and Thread.